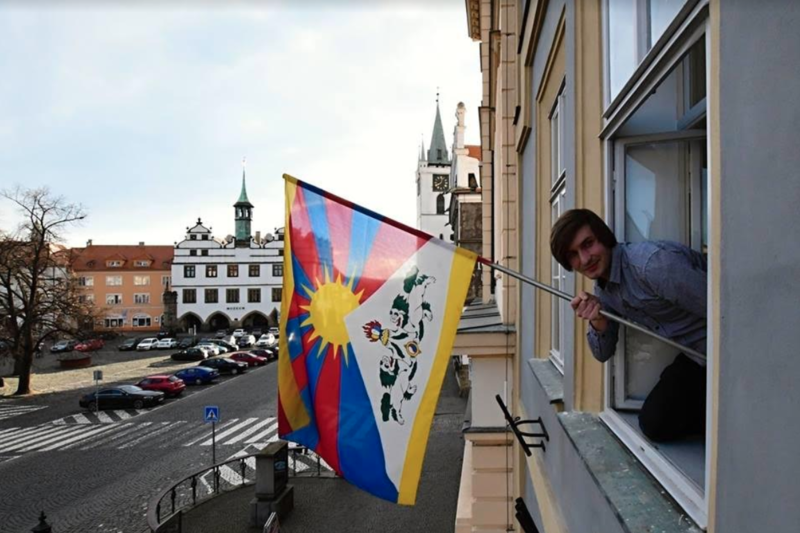 Czech Friends for Tibet raised Tibetan National Flag in front the of Chinese Embassy. 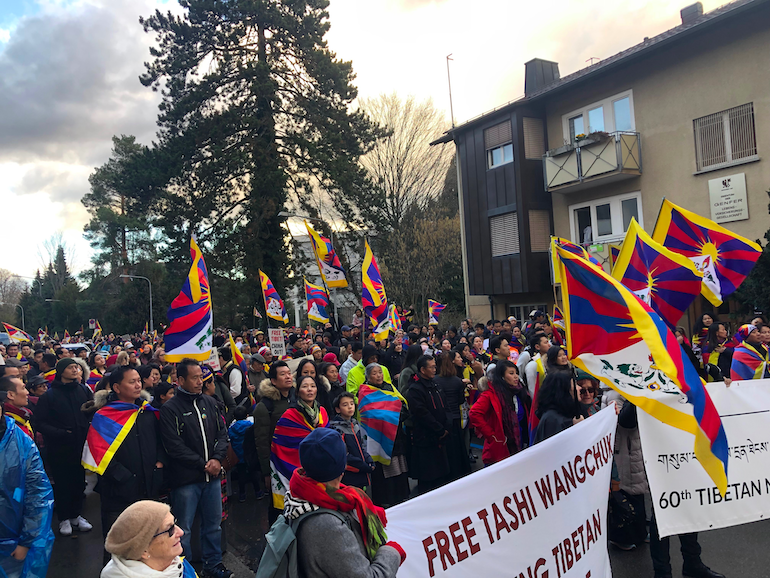 Geneva: In solitary and support for the peaceful non-violence resistance of Tibetans for the last six-decades, Tibet supporters in Central and Eastern Europe marked the 60th anniversary of Tibetan National Uprising Day. Tibetan national flag was seen hurling across the regions. 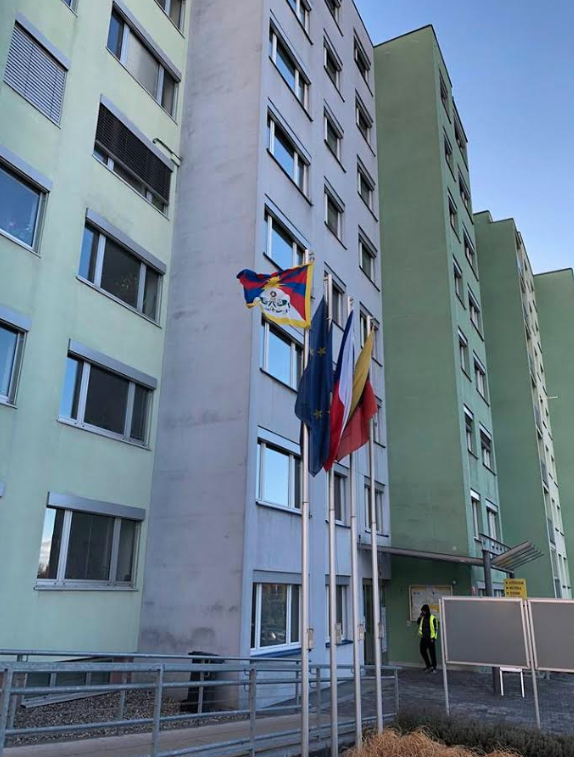 700 townhalls, schools, and organizations among others hoisted the Tibetan flag in commemoration of 60th anniversary of the Tibetan National Uprising Day in the Czech Republic. 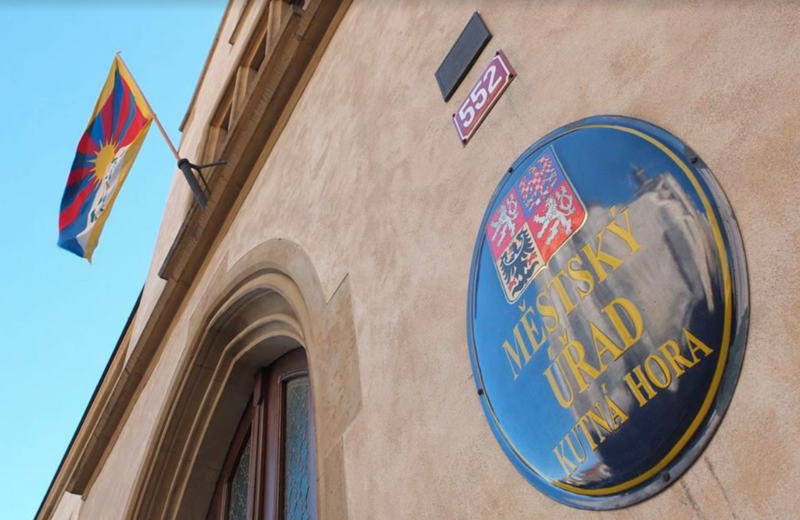 Demonstration in front of the Chinese Embassy, Prague, Czech Republic. 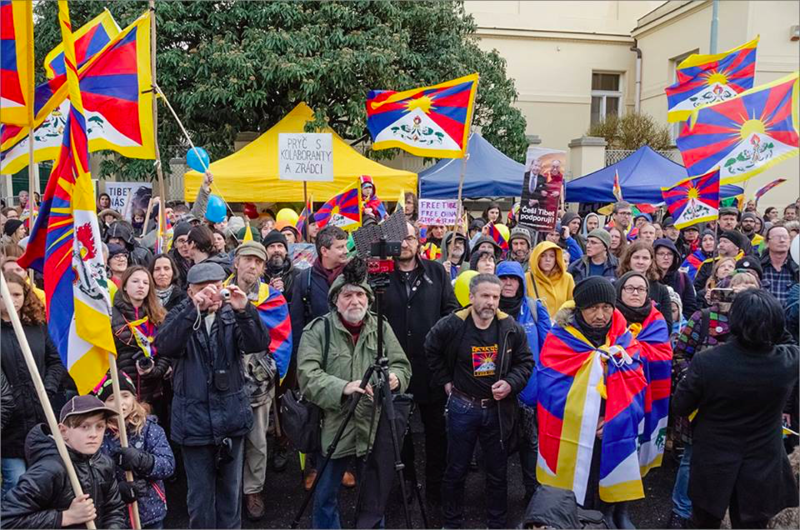 Tibetans and Supporters in Switzerland in front of the Chinese Embassy in protest against repressive rule in Tibet. 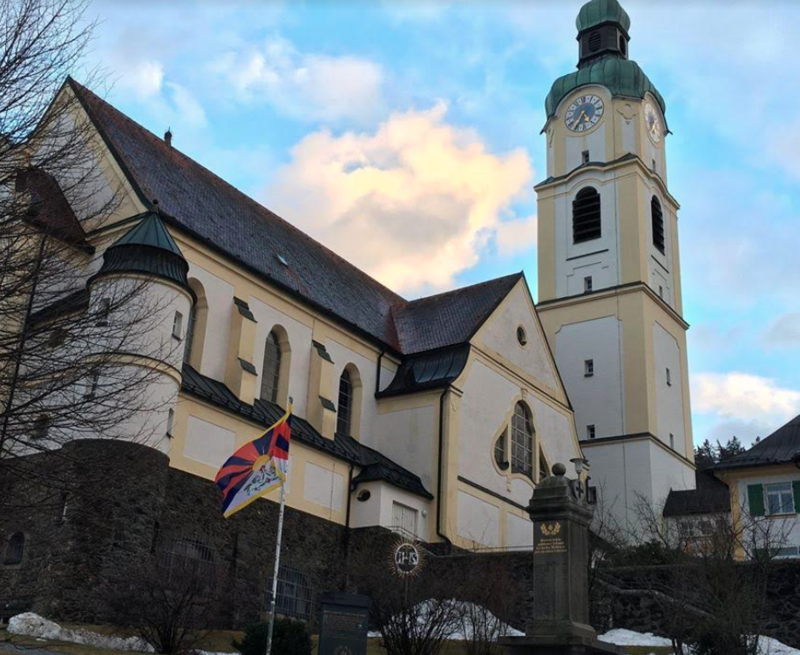 Tibet flag hosted infront of a church in Bayerisch Eisenstein. 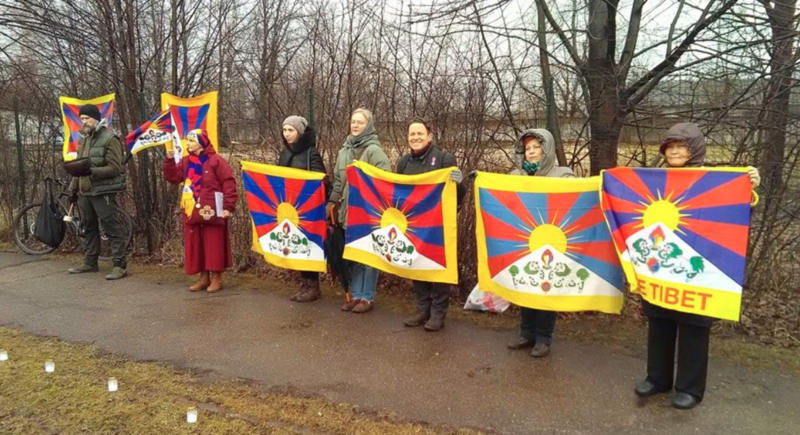 Tibetan flag seen in the Darmstadt. 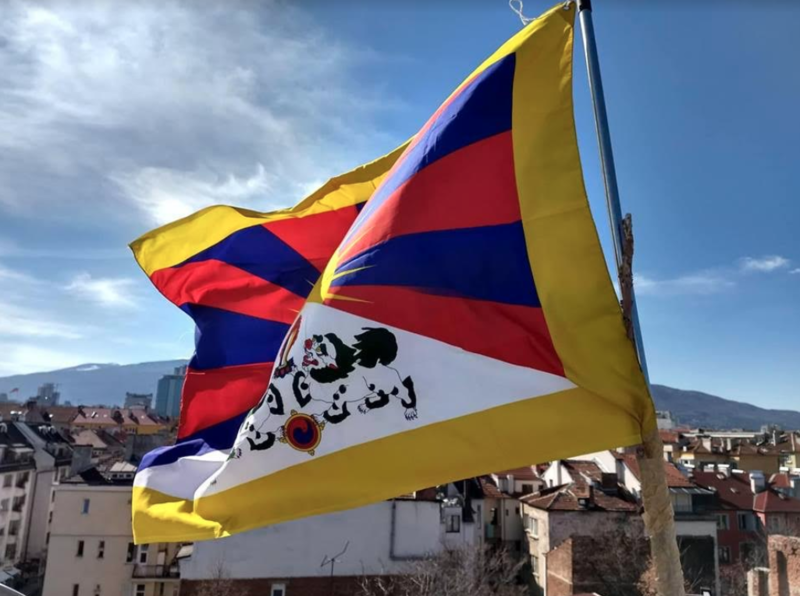 Tibetan flag raised in Sofia, Bulgaria. 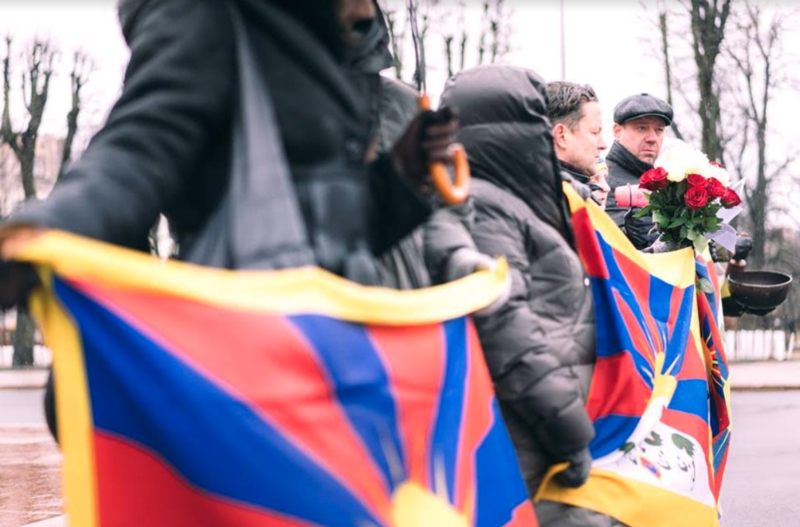 Friends of Tibet carrying Tibetan flags to mark the 60th anniversary of Tibetan Uprising Day, Bulgaria. 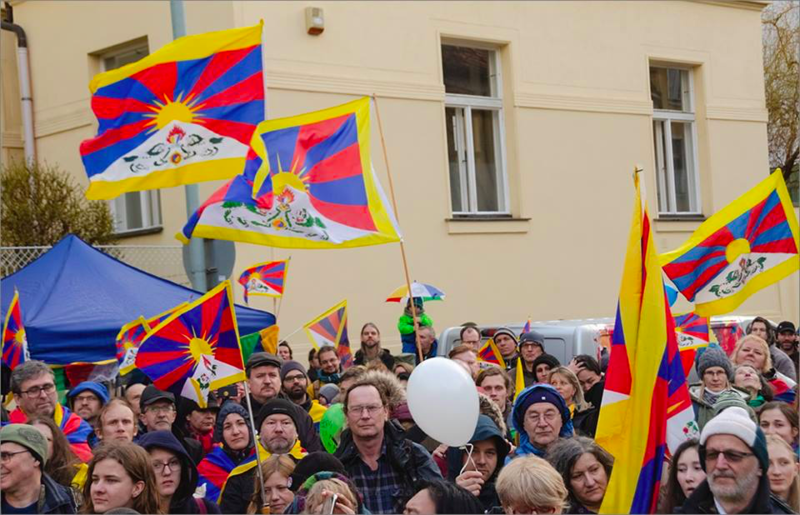 Tibet supporters in Bulgaria observing the 60th Anniversary of Tibetan National Uprising Day. 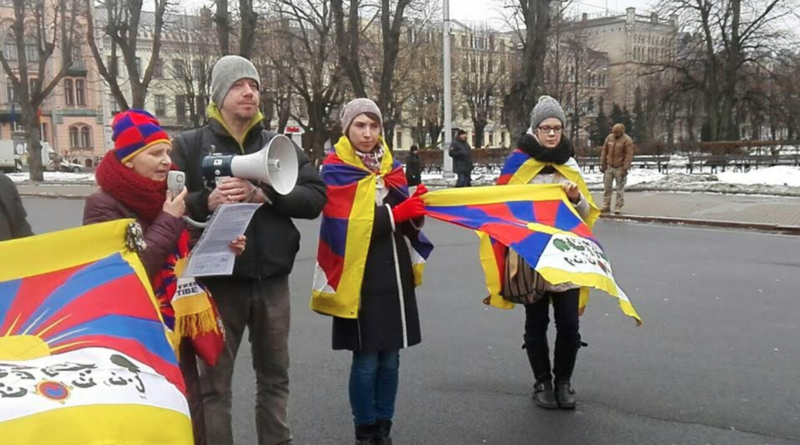 Tibet supporters in Bulgaria holding the Tibetan flag. 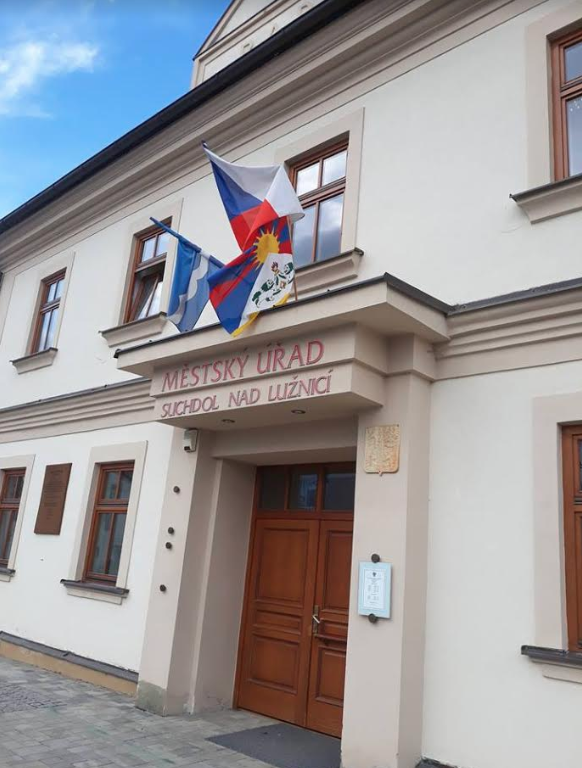 Tibetan flag raised in the city of Kutna Mountain, Czech Republic. 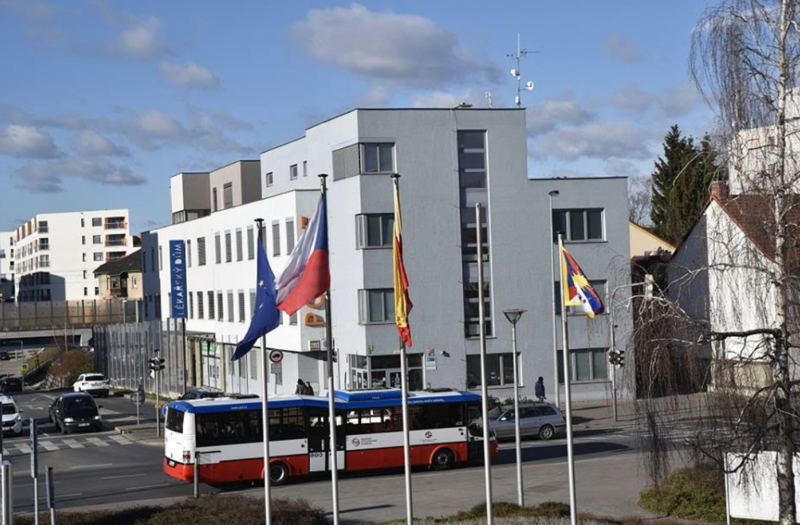 A supporter flying Tibetan flag in Litomerice, Czech Republic. 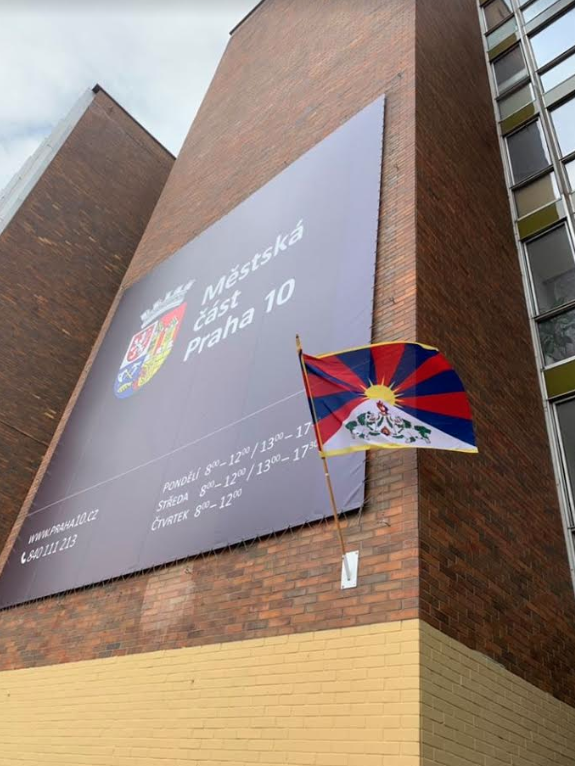 Tibetan flag in city of Praha. 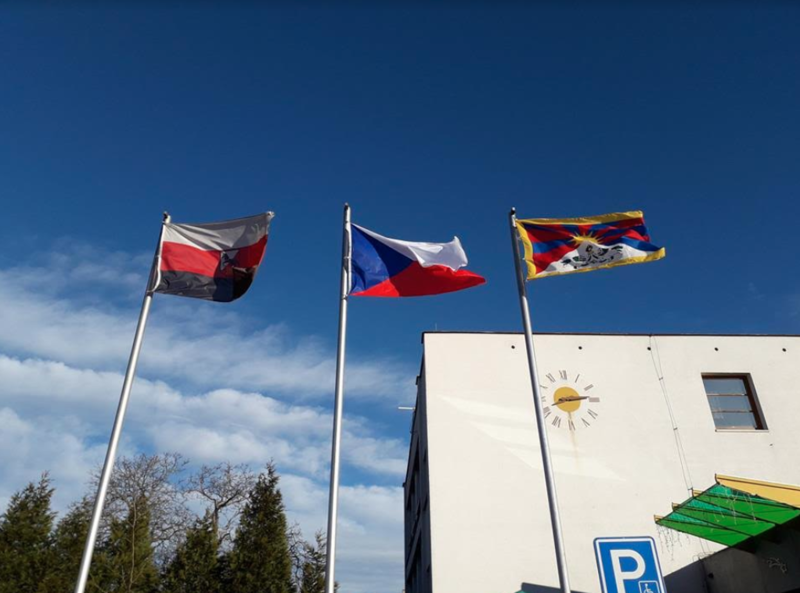 Tibetan flag in city of Suchdol, Czech Republic. 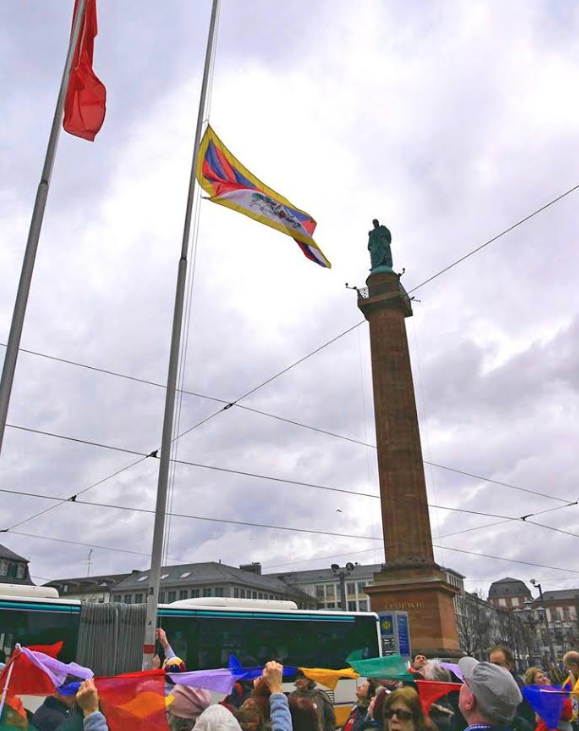 Tibetan flag fluttering in the city of Praha.